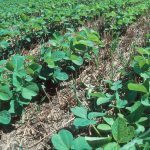 Home » What is No-Till Farming? No-till farming is just as the name describes it is farming without tilling the ground. The system goes a bit deeper and is very much at odds with conventional farming. In this blog, we look at what is no-till farming and what it is not. When we arrived here we found fertile valleys and plains. We grew food, cotton, and crops. We grazed cattle, built cities, and grew our population and economy, but not without cost. That which we found fertile became depleted. We faced hardships such as the Dust Bowl. The way we farmed changed and modernized. Fewer people began to farm larger chunks of land, hand tools were replaced with machinery and chemicals replaced the natural cycle of replenishment and farming grew into Big Ag. Today, not all consumers are onboard with the methods of Big Ag and many are going organic. What is changing is the way consumers buy food and with that change the market is shifting. Large market segments are turning away from mass produced food and embracing organically grown foods – non-GMO, hormone and antibiotic free (ranching.) 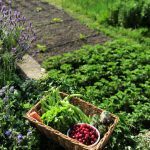 People are embracing old-school ways of growing – farm to table, micro-farming, home gardening, market farming, and many others. A portion of those consumers are turning away from Big Ag and focusing on environmentally improved ways of growing vegetables & flowers and in the process, some small farm growers are embracing those challenges by taking up a position of caring for the land. No-till farming is a series of relationships – with the land, with the food, with the crop, with a way of life. It is a return to a more natural way of growing food and one that embraces a responsibility – a stewardship and heritage – of the land. This is a return to sustainable small farm growing and food production and it is driven by several factors – consumer concern over genetically modified crops, their demand for organic foods, healthier lifestyles, and the understanding that populations are growing as is the demand for both food and land. There is also a bit of realization that the farther one goes with Big Ag the more one spends on inputs – fertilizer, herbicides, pesticides, equipment, etc. What we are seeing is a resurgence in market farming, small farm businesses that are family owned, organic gardening, and growing crops that meet end-consumer demands for healthier lifestyles and that are not big companies. Consumers are putting their money where their ethical and environmental concerns are and that is driving changes in agriculture. Those include organic food, sustainable farming, small farm growing and not with corporate farms that do not stack up to their environmental concerns. Nature has a way and in the natural cycles the food webs support life. The plants take in energy and convert it to a usable format. Some organisms eat the plants and those organisms are then consumed. What remains is consumed by smaller organisms – insects, fungi, bacteria – and as the food becomes smaller it is broken down into elements such as nitrogen. That process is not fast and modern farmers “help” push their crops by introducing artificial fertilizers. In that process the farmer becomes less reliant on nature and more reliant on the chemical companies that manufacture fertilizers. What is lost are those “small” benefits from the soil – the biota, organic compounds, and soil structure. The idea that land must lay fallow to regenerate is not an idea that meshes with efficiency. You can just add fertilizer and the field is ready to go. No-till is about using the natural cycles to produce crops that are healthy, naturally sustainable, and trusted by the end-consumer. In modern farming, the farmer relies on inputs – fertilizers, herbicides, genetically modified seeds, etc. With no-till, the focus is on natural cycles and that means caring for the land and the biota that sustains it – earthworms, nitrogen-fixing bacteria, etc. We have seen in modern farming the loss of land through subsidence – the sinking of land. Generally, subsidence in farming is about erosion – The soil is washed or blown away. There is also the shrinking of soil through the loss of natural organisms, organic residues, etc. No-till land has a thicker surface soil layer than tilled farmland and that is because the soil is “fluffier” and less compact. Those attributes mean that the soil is able to better retain water on the top level and that there is less compaction of the soil layers between the top layer and the sub soil layer. That is important because it means that water can percolate down into the sub soil layer where plants access it on hot days and during times of drought. The organic material in soil also helps to keep the wind from blowing the soil away. When you drive through farm country during end of harvest you see clouds of dust kicked up by machinery stilling fields. Not only does that diminish air quality it causes soil loss. No-till helps to decrease soil loss and increase the benefits from those smaller organisms. So, what is no-till farming? In short, it is the building of a positive relationship between the farmer, the land, and the consumer. 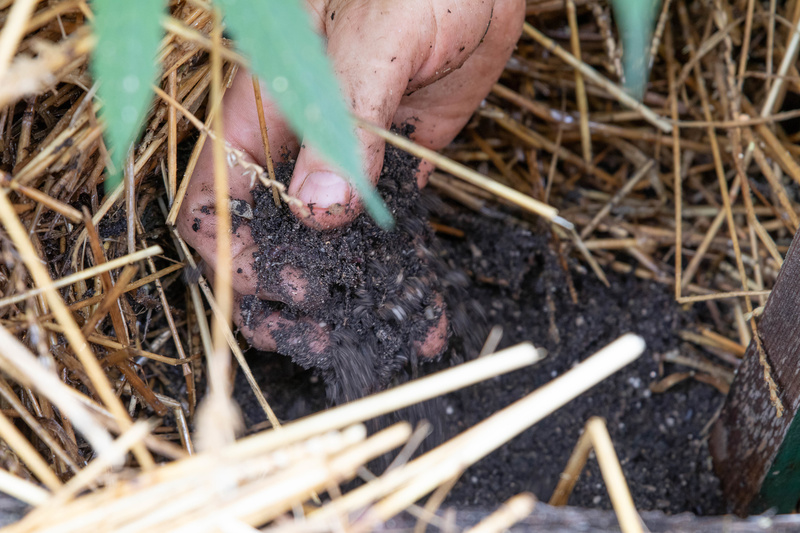 Next month, I’ll follow up with a second in this series on No Till – What to Expect. About: David Stillwell is an organic gardener, entomologist, writer and student. 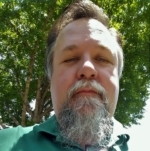 He specializes in hymenoptera – bees, wasps, and ants, and the study of cecidology – Plant galls. He has a fondness for recognizing natural circles and energy webs that exist in nature — those interconnected natural systems such as food webs. He is a native of California and an advocate for conservation, locally grown, and farmer’s markets.